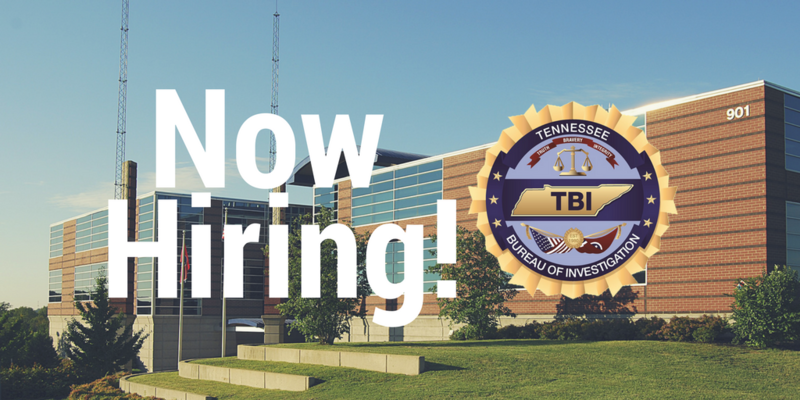 The Tennessee Bureau of Investigation seeks interested and qualified candidates for the following open position. Responsible for monitoring fingerprint submissions from criminal justice and non-criminal justice agencies (for example: poor quality prints, demographic information, fingerprint verification, etc.). Utilizes the appropriate databases to process data, including Access databases, Computerized Criminal History database, Automated Fingerprint Identification System, E-agent, IQX, Expungement database, Tennessee Applicant Processing Services, and Automated Records Management System. Enters and stores descriptive data, fingerprint cards, deceased records, and background check results in various databases. Addresses and resolves complaints concerning criminal history information with external vendors, the general public, local, state, and federal law enforcement agencies, and court clerks. Education and Experience: Graduation from an accredited college or technical institute with an associate’s degree in Criminal Justice, or related field, and experience equivalent to two years of full-time experience in a criminal justice setting collecting, analyzing, and examining biometric or criminal history related information. OR Graduation from an accredited college or technical institute with an associate’s degree and three years of experience in a criminal justice setting collecting, analyzing, and examining biometric or criminal history related information. OR Two years of coursework at an accredited college or university and three years of experience in a criminal justice setting collecting, analyzing, and examining biometric or criminal history related information. Substitution of Experience for Education: Qualifying full-time professional experience in a criminal justice setting collecting, analyzing, and examining biometric or criminal history related information may be substituted for the required education on a year-for-year basis to a maximum of two years. Positions will remain posted from July 18 – July 24, 2018 for a total of five business days.